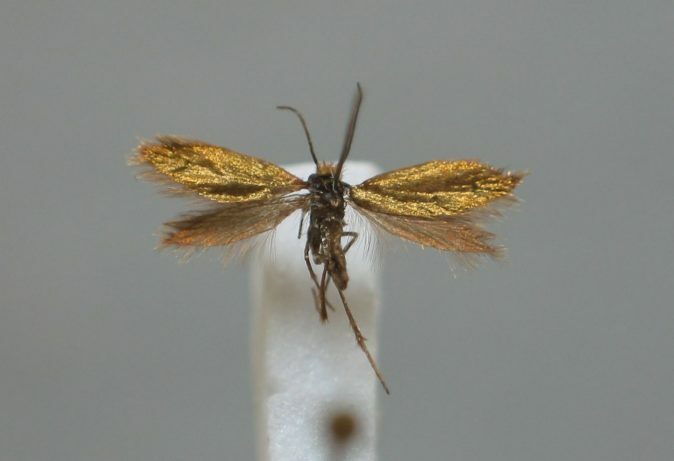 Micropteryx imperfectella f. agenjoi Viette, 1949a: 89. Infrasubspecific. Description of adults: Examined: 1 . 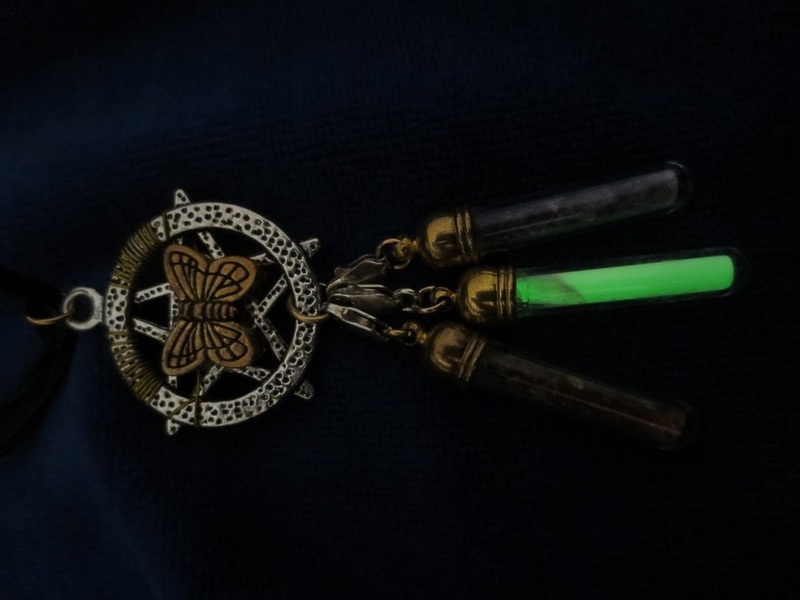 Forewing length: 3.1 mm. Head black-brown; vestiture of hair-like scales on the head golden brown; antennae dark brown, purple tinged, 3/4 ( ); forewings bronzy golden, costal margin reddish to purple (f. agenjoi); a small golden costal spot at 1/3, at 2/3 a bigger costal spot, reaching almost towards the middle of the wing, of silvery colour; at inner margin at 1/2 an elongate light golden spot across more than half of the wing width; fringe bronzy golden, whitish outwards; hindwings bronzy golden, intensively tinged purple; fringe of the same colouration; legs and abdomen brown, golden shining. The species is endemic to the Betic Cordillera of southern Spain, from Sierra Nevada and Granada to Gibraltar (Kurz & Kurz 2011). 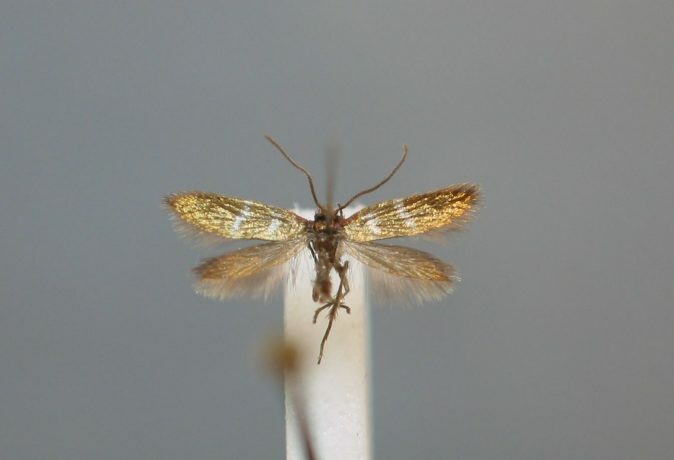 There aren´t any data available about the biology of M. imperfectella. Genitalia. 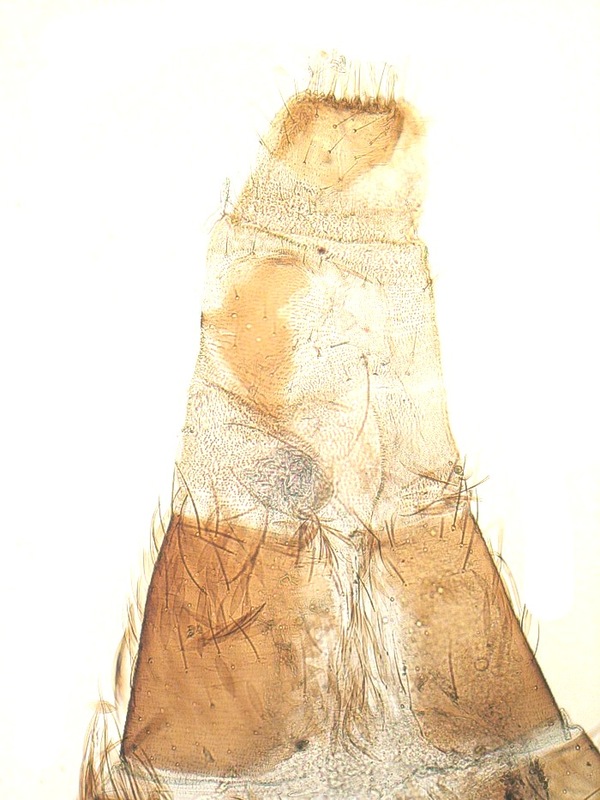 Uncus short, stout, with broadly rounded tip; beneath the uncus, inside the tegumen, a badly sclerotized structure with numerous, hair-like setae; accessory claspers very broad, at the margin closest to the valves, at the inner surface, a row of short, straight to slightly bent, proximally very short, spoon-like inflated, stout and thickened setae; slightly beyond that row a second row of heavily modified, axe-like, stout and thickened setae; valves moderately long, at the inner surface postbasally with two short and stout setae; valves constricted medially, the spatulate distal fourth slightly bent upwards, at the inner surfcae 1 - 2 irregular rows of short to very short, straight, stout and thickened setae. Externally, M. imperfectella resembles Micropterix aruncella (Scopoli, 1763) quite well, but can be distinguished mainly by the incomplete fascia at 1/2 and the prominent spot at 3/4. 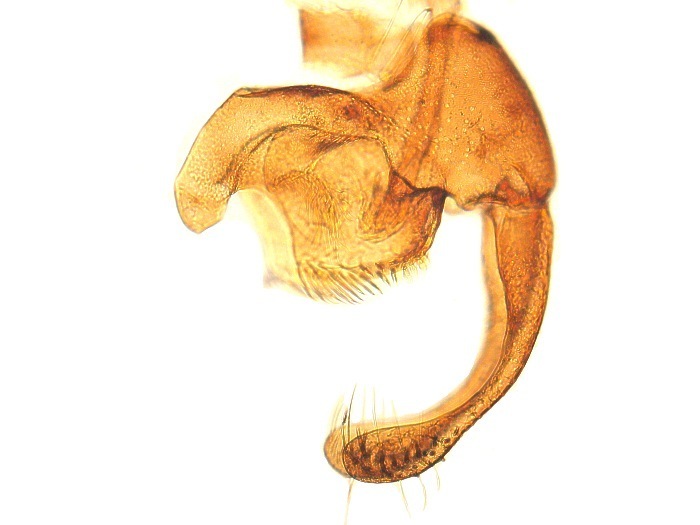 In the male genitalia, M. imperfectella is completely different from M. aruncella. So far, the of M. imperfectella has not been investigated. 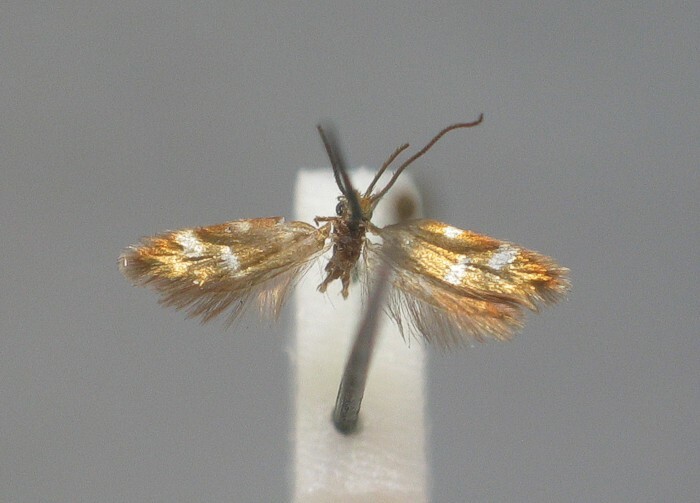 Therefore, we do not know wether it also lacks the spots on the forewing like in M. aruncella. 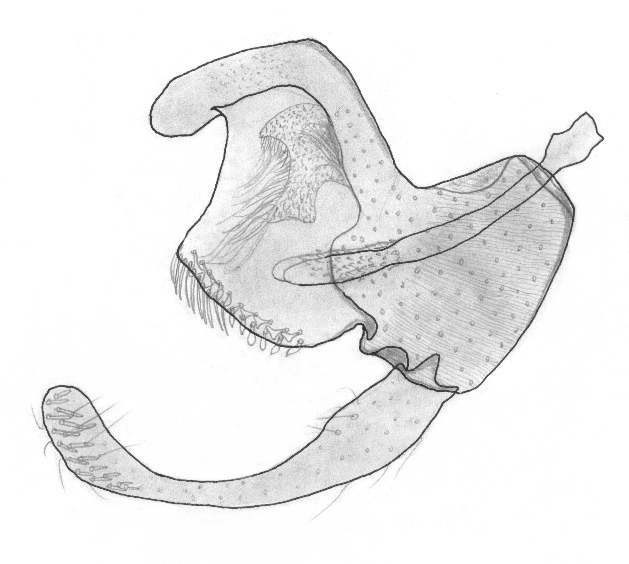 Phylogeny: Judged from the male genitalia and the external appearance, M. imperfectella does not have any close relatives in the genus. DNA-data are lacking too. Kurz, M. A. & M. E. Kurz 2000–2011. Naturkundliches Informationssystem. – URL: http://www.nkis.info [online 17 November 2011]. Staudinger, O. 1859. Diagnosen nebst kurzen Beschreibungen neuer andalusischer Lepidopteren. Entomologische Zeitung Stettin 20 (7-9): 211-259. Viette, P. 1949a. 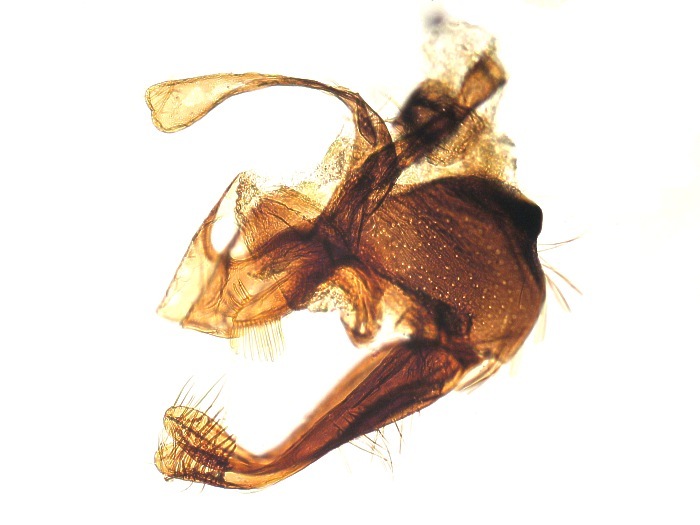 Contribution à l étude des Micropterygidae (3me note); Rectification et description d´une espèce et d´une forme nouvelles. Bulletin Mensuel de la Société Linnéenne de Lyon, 18me année, No. 5: 87-89.